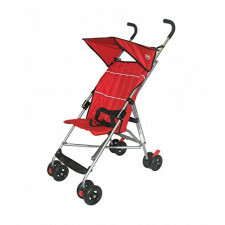 The Compact Easy-Fold Stroller by Bily™, has a small silhouette. 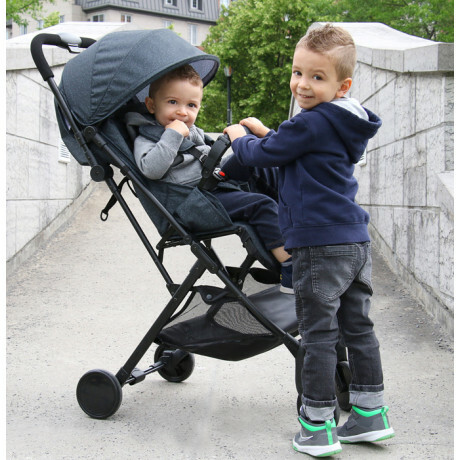 Its full-size stroller features, lets you and your little one take charge of your adventures, whether it's a normal routine day in the city or you are jet setting around the world! 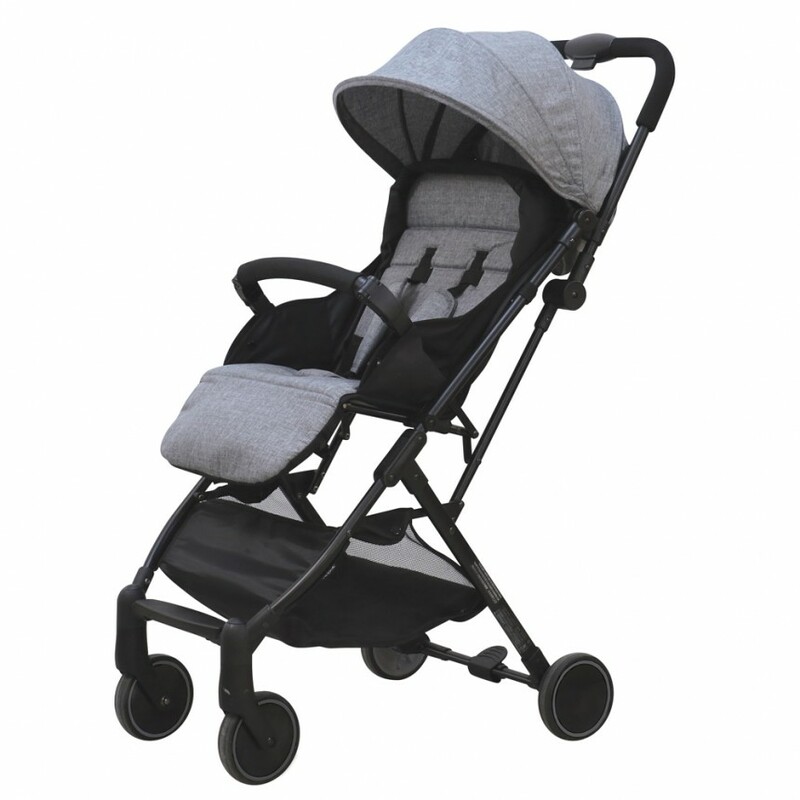 This ultra-lightweight stroller will take you from point A to point B, and all the stops in between, with ease. 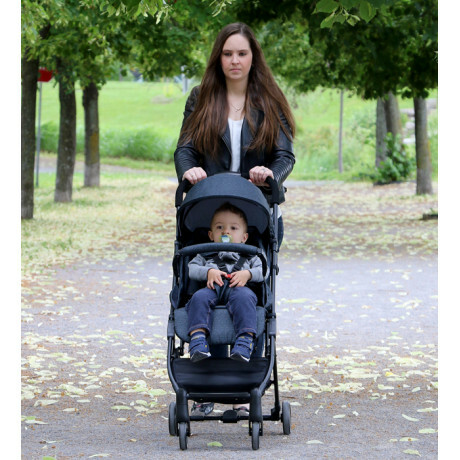 With its quick one-hand ultra compact fold, it is easy to stow away into the trunk or even an overhead airplane baggage compartment! 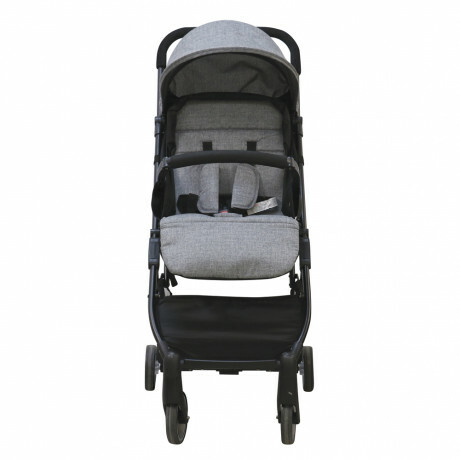 The 5-point harness, adjustable footrest, multiple position seat recline and pivoting arm bar means your passenger is always comfy and securely seated. 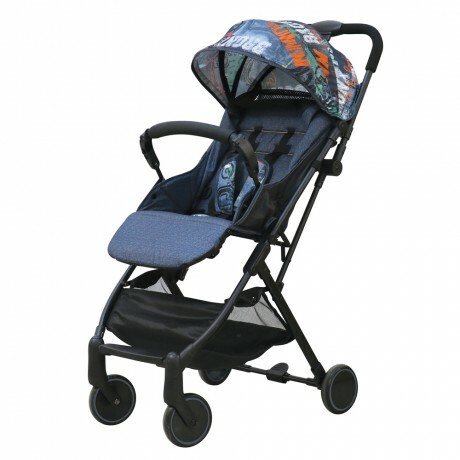 For newborns up to 36 months old, 40 lbs. 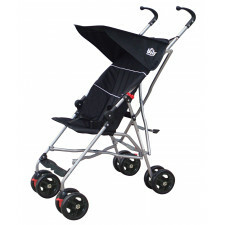 and 37""
Ultra-lightweight stroller - only 14.3 lbs.